What everyone should do AFTER having signed their new Wills and Powers of Attorney? Congratulations to those of you that have up-to-date Wills and Powers of Attorney. When you rely on an Executor or Power of Attorney that is not your spouse, like a child or friend, they probably won’t know where to begin in uncovering and gathering all your assets. They will have to start rummaging through your home to locate bank statements, life insurance policies and anything else they can locate to manage or probate your Estate. But, even if they go through every scrap of paper, they can never be truly sure that this is the entirety of your estate. Anything else you thing is necessary for the Executor or Power of Attorney to know. Make sure to put the date at the top of the page & sign your name on the bottom. At our firm, we keep the original Wills and Powers of Attorney stored in a fireproof vault with a unique client number for easy retrieval when required. 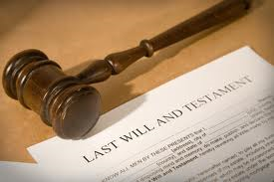 We advise the clients to provide us with a copy of the checklist to store with their Wills/Powers of Attorney. This saves everyone a lot of grief and stress when the time comes to rely on those documents. This entry was posted in Wills, Trusts and Estates on April 11, 2016 by ggslaw987. Do not worry about being an Executor of an Estate. You, as an Executor, do all the leg work while the lawyer does all the legal work and is your sherpa, guiding you on the things you should be doing, like filing taxes and going to the bank and opening an Estate Account. Some people don’t want to be Executors because it sounds like too much work or too scary. It will involve work but the most important thing to consider is that an Executor can ultimately be liable if the Estate Assets are purposely or negligently mishandled. This is a rare occurrence because most Executors want to do the right thing and most Estates are straightforward. Even when complexities arise and mistakes are made, as long as the Executor has acted in good faith, courts are loath to hold them personally liable for any loss. This entry was posted in Wills, Trusts and Estates on September 22, 2015 by ggslaw987.